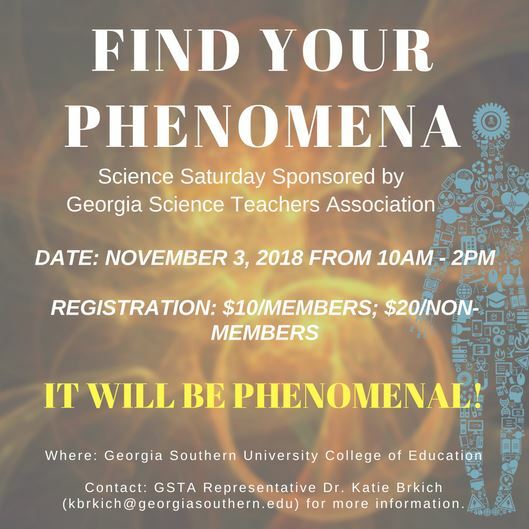 Who - Science teachers and teacher leaders interested in learning more about GSE Science, the 3D approach to science teaching, and the role of phenomena in the classroom. Where –Georgia Southern University College of Education. 275 C.O.E. Drive. Statesboro, GA 30460 This session is being co-hosted by Dr. Katie Brkich, GSTA District 8 Director.